A Blue Million Books usually features other authors and their books, but today I'm celebrating the launch of the fourth book in my Goose Pimple Junction mystery series, Rogues & Rascals in Goose Pimple Junction, so it's time for some shameless self-promotion. Like any good Southern belle, Caledonia Culpepper was raised by her mama to be gracious, charming, witty, and above all, a devoted mother and loving wife, so she's baffled when her marriage falls apart. Wynona Baxter is a master of disguise but is often a ditzy airhead. A hit woman wannabe, when she's hired for her first job in Goose Pimple Junction and things don't go as planned, she's forced to resort to Plan B. 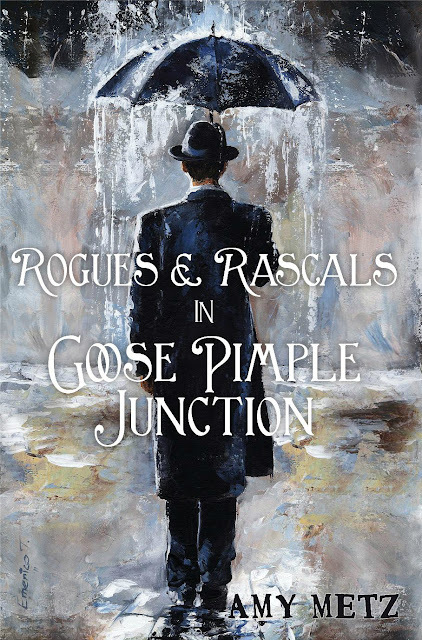 She'll also need Plan C and D.
Crooked lawyers, restless husbands, a teenaged hoodlum—it seems there are rogues and rascals everywhere you look in Goose Pimple Junction. When Caledonia and Wynona's paths cross, they prove there isn't a rogue or a rascal who can keep a good woman down. Mama always said there would be days like this . . .
People often ask me where I get ideas for things I put in my books. My answer is: everywhere. If I see it, hear it, live it, or remember it, it's fair game—starting with the title of the series. 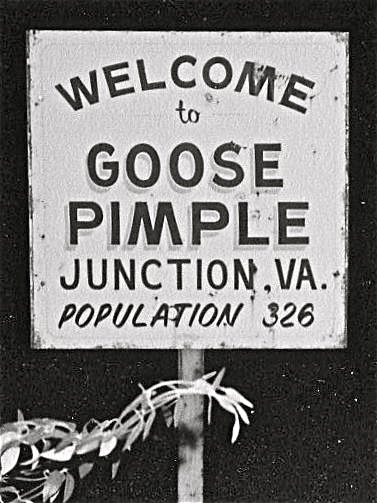 I visited Goose Pimple Junction, Virginia, in 1985 and never forgot the name. When I started writing Murder & Mayhem, I thought the name was a perfect fit for my fictional town. 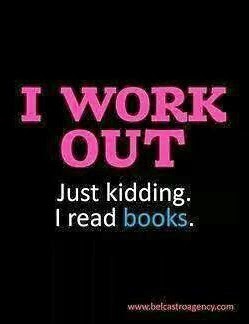 A lot of things in the books are from my imagination—but not all. Like a lot of writers, I pull from real life, and I also keep lists of things I like and think I may use one day in a book. 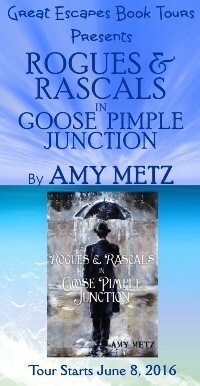 So what's fact or fiction in Goose Pimple Junction? Read on for a few examples . . .
1. 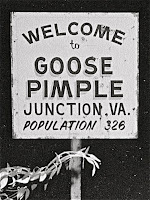 The murders in Murder & Mayhem in Goose Pimple Junction actually happened in real life to my father's grandmother and uncle. His uncle's murder was never solved. 2. 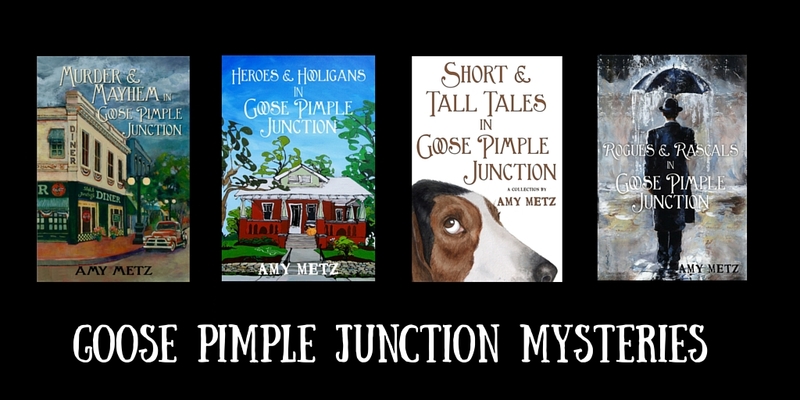 The short stories in Short & Tall Tales in Goose Pimple Junction are fictionalized, but for the most part actually happened to family members. 3. There is a real Silly Goose restaurant in Memphis, Tennessee. 5. 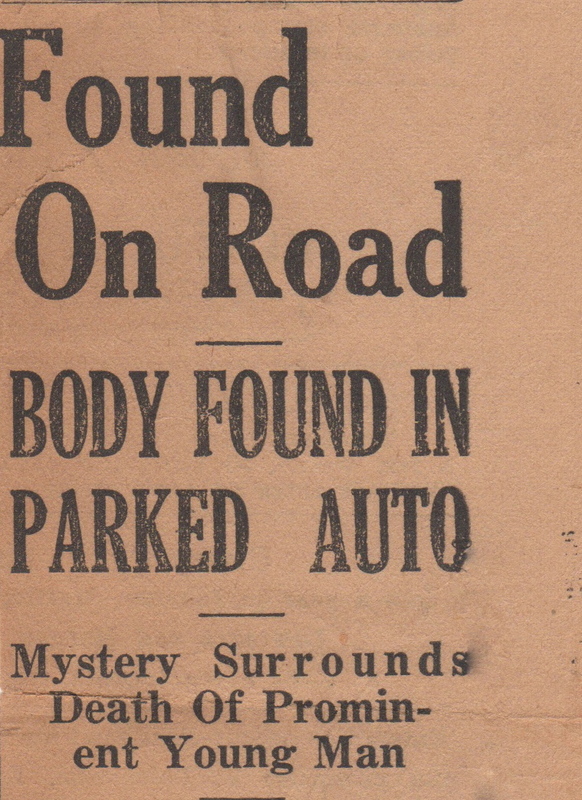 The bank robbery in Murder & Mayhem was inspired by an actual bank robbery that occurred in 1932. One of the bandits was arrested just as it happened in the book. 6. My uncle called his grandson, Dylan, "Pickle." 7. The real Butterbean is the niece of a friend of mine. She pronounces it "Buttabean" like Louetta. 8. I knew a police officer who fell into a pool while chasing a criminal like Hank did in Heroes & Hooligans. He no longer works in law enforcement. 9. 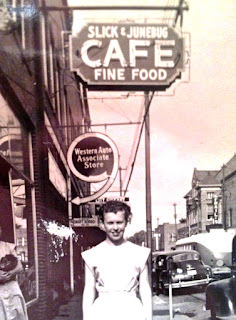 The original Slick & Junebug's was in Paintsville, Kentucky. 10. Lenny was inspired by the husband (now ex-husband) of a friend. 11. "Miss Penny's Dress Shop" in Rogues & Rascals comes from a Miss Penny's Dress Shop that my grandmother took me to when I was a little girl. 12. I always have a character in my books with some form of the name "Lou" as a nod to the city I live where I live—Louisville. 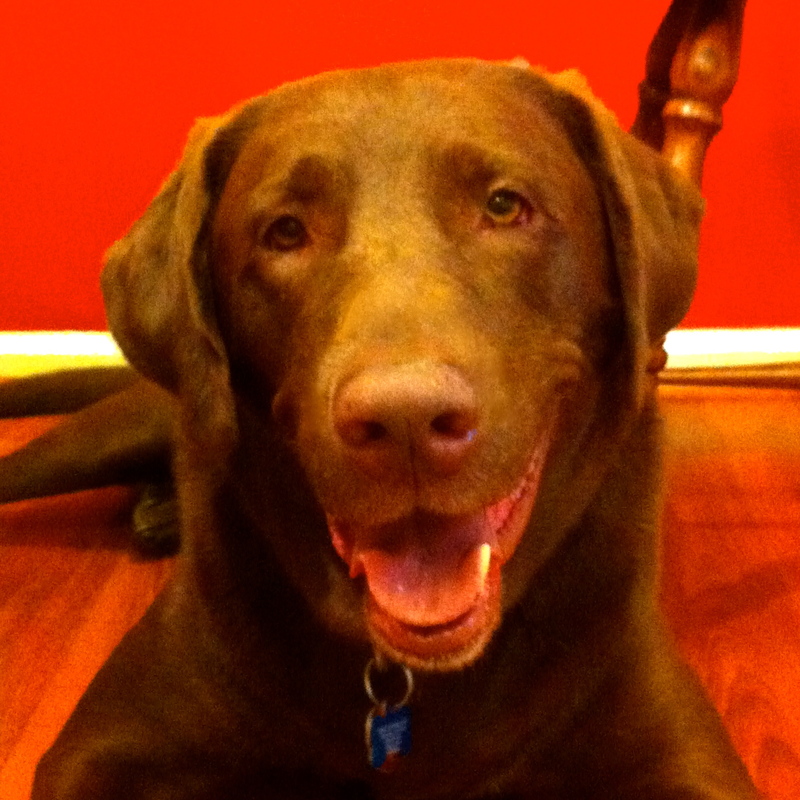 Hence, the name "Louetta." Strangely enough, about a year ago, I discovered that my mother's grandmother's name was Louettie. 13. When I'm really stumped for a character's last name, sometimes I use the names of counties in Kentucky. 14. 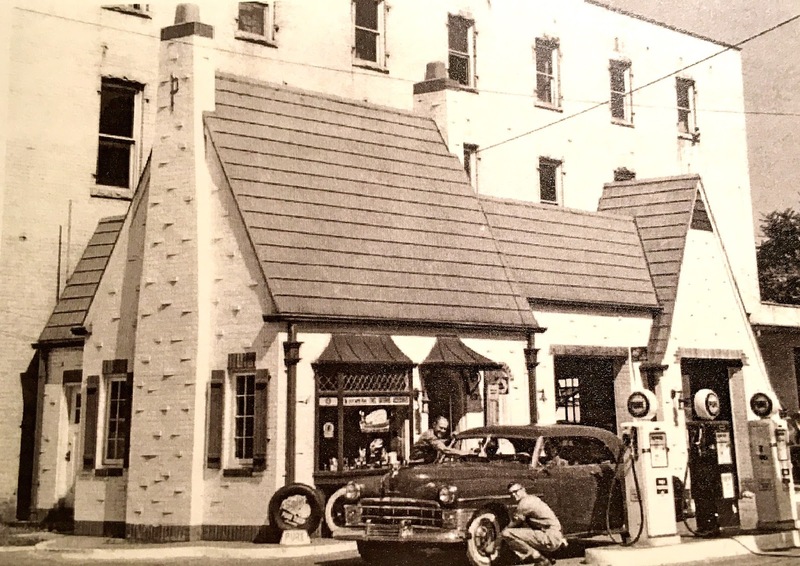 My grandfather owned and operated a filling station like P.D. 's in Murder & Mayhem. 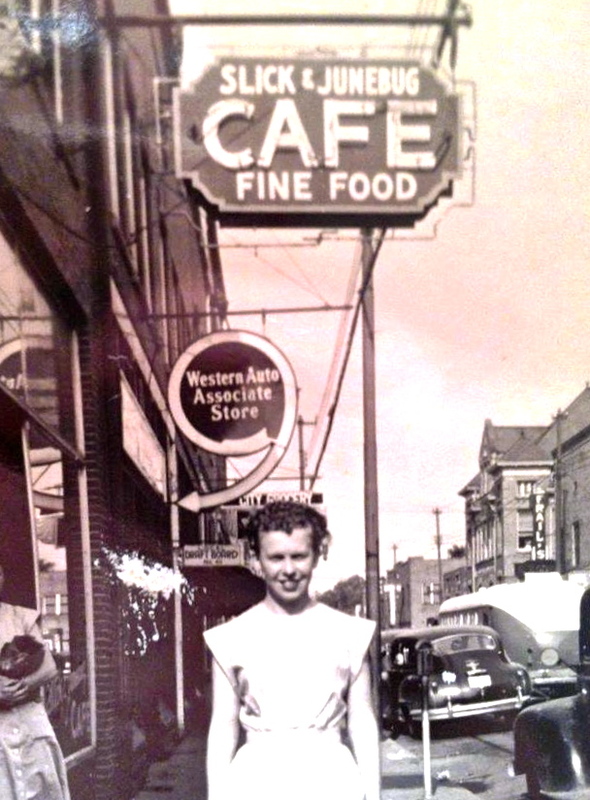 It was down the street from Slick & Junebug's Diner. 15. Henry Clay got his name from a building in downtown Louisville, when I just happened to see it one day while waiting at a traffic light. The building is on The National Register of Historic Places but was being renovated at the time. 16. My mother owned a maroon convertible Buick La Sabre like the one Estherlene drives in Heroes & Hooligans. 17. There is a Magnolia Bar called the "Mag Bar" in downtown Louisville. 18. The street names in all the books are actual street names that either have meant something to me or that I found in real life. 19. A friend in high school had a Basset Hound named Ezmerelda. 20. 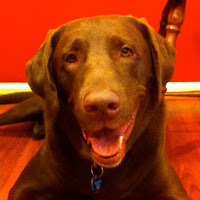 Ezzie's antics are from my granddog Gage, a brown lab who is a genius. Everything Ezzie has done in the books, Gage has done (and more) in real life. Did I mention he's a genius? 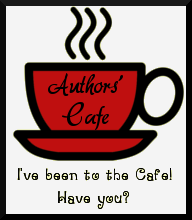 Writing a book is a solitary task, but getting a book ready to publish takes a village. 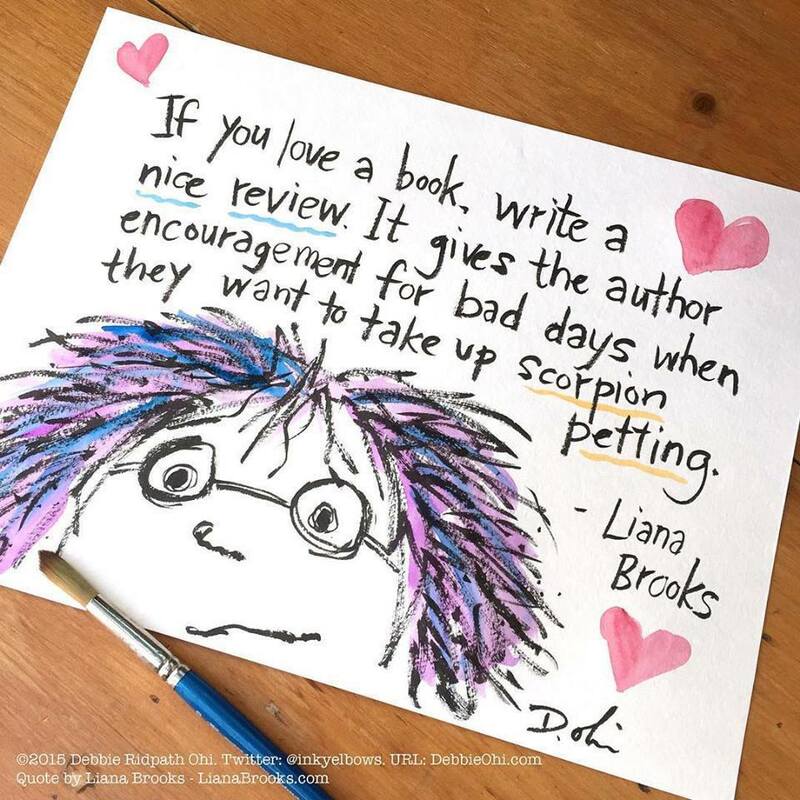 First, I want to thank the readers who wrote to me asking when the next book would be out. You are the wind beneath my wings. 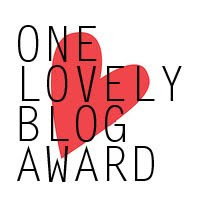 Thank you from the bottom of my heart. Y’all are sweeter than a box of jelly donuts! 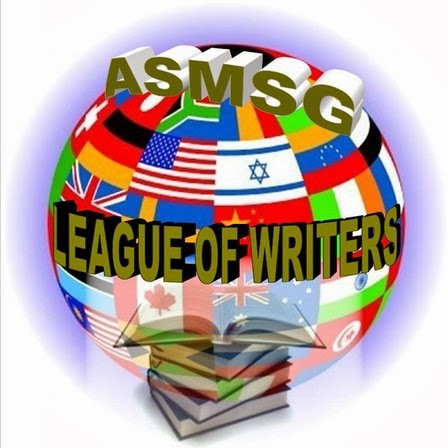 I could not write a book without the advice of others. 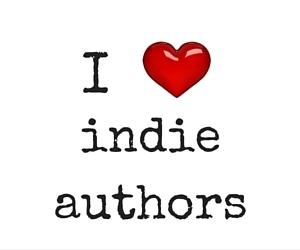 To my beta readers Sarah Mallery, Ellen Mansoor Collier, Lisa Spears, Liz Metz, and my editor Lisa Binion, thank you for helping me through the final stage, the one that is the most brutal. I appreciate your attention to detail, your honesty, and your friendship. 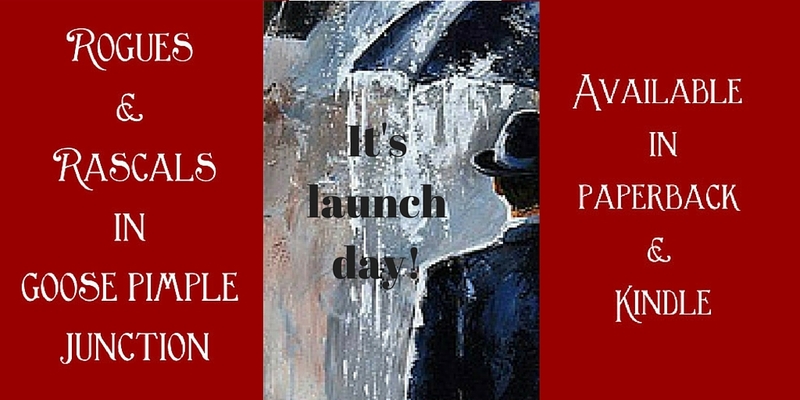 Thank you to “Emerico” Imre Tóth for the fantastic cover art for this book. As soon as I saw the “Bowler Hat on a Rainy Day” painting, I knew it was right for this novel. I am so happy I was allowed to use it. Thank you to Tom Brooks for listening to me babble about GPJ, and for your insight and friendship. Thank you to my family, Jake Metz, Michael Metz and Liz Metz, for your support and encouragement. Very Cool... Made me smile first thing this morning! Thank you, Sharon. You're the best. 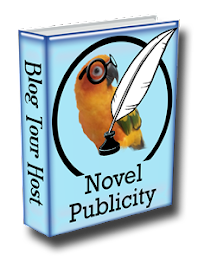 CONGRATS on novel #5, Amy! 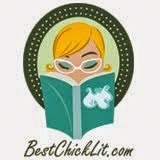 What a treat to be among the first to read ROGUES--thanks for the mention! Thanks for your help, Ellen!